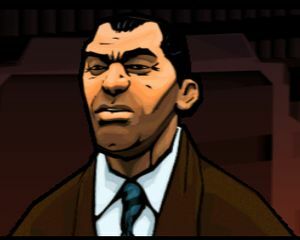 Wu "Kenny" Lee is a character in Grand Theft Auto: Chinatown Wars and the forty-eight year old leader of the Lee Family who operates out of the Sum Yung Gai restaurant, serving as the main antagonist of the game. 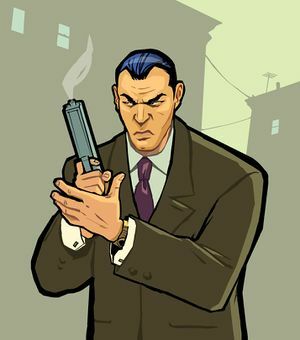 He is the uncle of Huang Lee, the protagonist of Grand Theft Auto: Chinatown Wars, and is suspected to be the second most powerful Triad in Liberty City. With current Liberty City Triad boss Hsin Jaoming's retirement quickly approaching, Lee is one of the main contenders for the position as his successor. Later in the game it was revealed he killed Huang's father in order to get the Yu Jian Sword and he was also the FIB informant that the Algonquin Triads were looking for. Huang and Hsin then went after Wu; Hsin was severely wounded by Kenny, but Kenny was ultimately killed by Huang. He has an entry in the LCPD Database in Grand Theft Auto IV. An in-game screenshot of Wu Lee. He lives in East Island City, Dukes. His email address is Wu.K.Lee@fruitcomputers.com. His telephone number is 555-577145. Believed to be the second most powerful leader in the Liberty City Triad Organization. Considered the chief rival for Chan Jaoming in the struggle for control of Triad Organized Crime in Liberty City. This page was last modified on 26 October 2013, at 16:04.